Suddenly, from being that one kid whom nobody ever invited to the parties, email marketing’s turned into the channel that arrives fashionably late and gets the party started. The above is a bit of an exaggeration, but you know what I’m trying to say here. Getting them through other marketing channels is becoming more expensive. And the number one benefit of email marketing is its impact on lead generation. At least that’s what we’ve found in one of the studies we’ve done. In theory, getting more leads through email marketing is simple. All you have to do is get someone’s email address and then gain their interest in your product or service. Since buying email lists is a bad idea, you have to take an alternative route. And the single best way to do this is to offer your users something of value in exchange for their email address. That thing I’m referring to is called a lead magnet – a free incentive for joining your email list. Lead magnets are also called sign up incentives, sign up offers, content upgrades, freebies, opt-in bribes, and many other terms. As you’ll learn from this article, there are many different types of lead magnets. The most important thing is that they’re effective and that most of them can be created relatively quickly – using your existing resources. As I mentioned, in this article, I’d like to focus on providing you the best ideas for lead magnets that’ll help you build your email list and generate more leads faster. However, if you’d like first to cover the bases, here is a more detailed explanation on what lead magnets are. 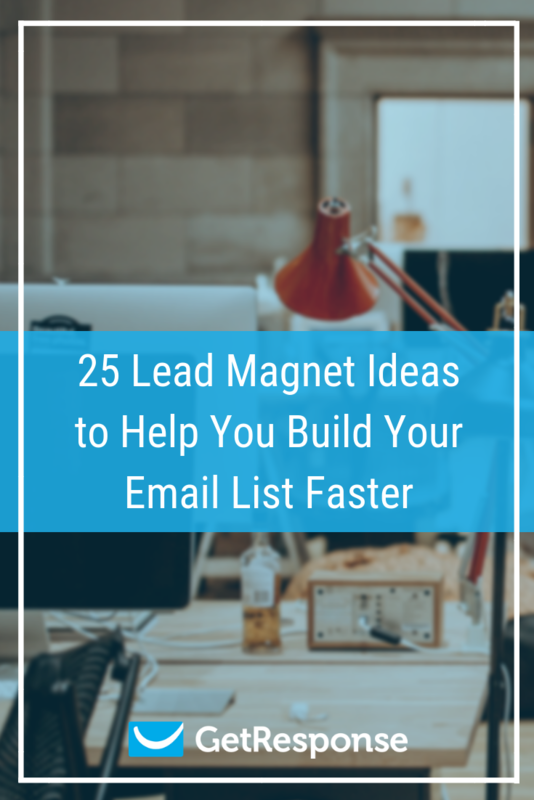 Let’s now take a look at the following list of 25 lead magnet ideas, examples, and explanations on how they could be useful for your business. Bonus: Want to learn and practice at the same time? 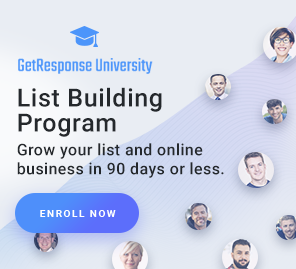 Then join the GetResponse List Building Program and over the next 90 days, you’ll learn everything you’ll need to know to grow an engaged email list and increase your sales revenue. An email course can be a great lead magnet. And an easy one to set up, too! Instead of sending all the course materials in one go, the idea is to divide them into smaller chunks (lessons) and send them to your email recipients one by one. Thanks to this approach, your email subscribers get a lot of value, over an extended period of time. And because you’re not giving away all the course materials right away, you get a better chance of building a stronger relationship with them. What kind of content could be turned into an email course that’ll help you increase your email signups? If you’re an expert in agriculture, dog breeding, or playing squash, you could gather your knowledge and offer it as an incentive to sign up to your email list. It all depends on your niche and what your target audience is interested in. As you can see, this is an email series on Video Marketing Fundamentals from Wistia. This approach isn’t uncommon, especially in the online marketing niche. We’ve also used the same approach and gained a lot of success with it for GetResponse. You can check out our Resource Center to see some of our latest courses. As I already mentioned, setting up an email course is easy. All you have to do is put your lessons into a sequence of emails, which can be either set up as autoresponders (the easy way) or a marketing automation workflow (slightly more advanced but also allows for adding behavior-triggered emails and tags). Infographics can be both fun and useful. Many people like them, because they can quickly provide the key information on a particular topic and do so in a format that’s enjoyable to look at. It’s also not uncommon to see infographics get a lot of social shares and backlinks. But there’s one issue with infographics that needs to be mentioned. It’s that some of them have a relatively short life-span. That’s not necessarily a bad thing, especially if you’re trying to take advantage of a special event or a particular season. On the other hand, if you don’t want to keep creating infographics too often, you’ll want to develop one that’s going to help you generate leads for months to come. Check out your existing content. See which posts or videos get a lot of engagement and traffic from the organic search throughout the entire year. Most often, you’ll be able to find content that’s highly popular and is worth repurposing, i.e., being turned into an infographic. Next, do a Google search for images and see if there’s anything similar already out there. If there is, you’ll have to make sure yours is better and can outperform the existing one. What if you don’t have content that’s ranking well just yet? In this case, go to question and answer types§ of websites like Quora. These get a lot of organic traffic in pretty much any niche you can imagine. Search through the categories, find the one that’s relevant to your niche, and check out the questions that have been posted there. Look at the ones that get a lot of views, follows, and comments on. Then all you have to do is pick one specific topic, gather all the best answers, and turn them into a neat, share-worthy infographic. Also, you can use tools like Ahrefs to identify the top performing infographics and get inspired by what’s attracted a lot of social shares in the previous year. Calendars and planners can make very effective lead magnets, especially if you offer them at the beginning of the year. Everyone’s just starting to lay out the plans for future campaigns and events to attend. That’s when you can ‘hit them’ – and get a lot of engagement in the process, too :). Create a calendar that revolves around your niche (e.g., planting calendar for different plants and seeds if you’re in the agriculture vertical) and offer it in exchange for an email address. It can work even better if you make it in a print-friendly format. This way, if anyone prints out your calendar, they’ll keep seeing your logo next to their desk for the entire year. Should you plan to run a lead nurturing campaign afterward, your work will already be that much easier. Your email recipients will remember you from the logo they keep seeing every day. Below’s an example of a retail calendar we’ve done at the beginning of this year. In some niches, spreadsheets are very popular. Take online marketers or personal finance bloggers for example. People in these industries often come up with different spreadsheets that help them optimize their work. And it turns out there are many people with similar needs to theirs, so all these bloggers and marketers have to do is share their existing spreadsheets with the others. What’s even better is that these often don’t even have to be very complex. Like social media or editorial calendars with different columns and rows prepared for individual online marketing channels. Other times, the spreadsheets will include more complicated functions and detailed explanations on how they should be used. These are even more powerful as most users won’t be able to develop them on their own. Also, when you know that someone’s put a lot of effort into preparing a spreadsheet, you don’t feel bad that you have to offer your email address in exchange. You know you’re getting real value out of this deal. In both cases, spreadsheets can help you speed up your email list building process. All you have to do is put them behind an opt-in form and them to the thank you page or an automated thank you message. Below’s an example of a page that does just that. What’s interesting about it, however, is that instead of paying with an email address you’re being asked to share the resource to gain access to it. The longer you work in a given industry, the more experience and knowledge you obtain – at least in theory! Some of it is probably difficult to find or access for someone new to the business. So why not take advantage of the years behind your belt and put them into a downloadable list or a cheat sheet? We tend to forget about this, but there are people who prefer shorter pieces of content like cheat sheets over ebooks. They don’t have the time to download and read long-form content. They prefer something quicker to read that can help them make significant changes to their strategy fast. Creating a cheat sheet shouldn’t take you too long – after all, you already have the knowledge that’s necessary to develop it, so all you have to do is combine it in a logical way. You’ll also get more subscribers who are actually using your content, rather than just downloading it. Shouldn’t this be a goal for all our content? The interesting thing about lists is that they can be used in any industry. As you can see, all of these ideas could be turned into a lead magnet that’d generate tons of new email subscribers. For your inspiration, take a look at these two websites that used checklists as their opt-in incentives. There are still many people who like more long-form content. Ebooks, guides, and whitepapers. All of them are great lead magnets and can help you grow your email list faster. While putting them together can often take a hefty amount of time or require special software if you want them to look particularly good (I use InDesign), their lifespan tends to be very long. The argument that supports the use of ebooks is that they’re often perceived as more valuable than an infographic or a cheat sheet. Some of the marketers using ebook lead magnets even go as far as to say that their guide is worth several hundred dollars, but this one time they’re giving it away for *free* – in exchange for your email address. That doesn’t necessarily mean that all ebooks have to be very comprehensive. I see plenty of downloadable guides and whitepapers that offer little to no value whatsoever. But that’s not the approach I would recommend. You should always pay attention to the content you put inside of your lead magnet. You want your new subscribers to be happy about the exchange that they’ve just made. If they don’t, you’ll likely observe high unsubscribe and complaint rates – and this is going to be counterproductive towards your deliverability and success with email marketing. Sadly, we see this quite often for single-message autoresponders, most of which are thank you emails. As you can see in the screen above, taken from our recent study, their engagement rates are high, but so are the unsubscribe and complaint rates. Ask yourself – who normally signs up to an email list and unsubscribes right away? Other than your competitors, my intuition tells me these are the people who’re unsatisfied with what they’ve received in their thank you message. Do you think your blog readers would appreciate something even more comprehensive than an ebook? If so, then offer them a report. Reports can work wonders for your lead generation strategy. Right away, they put you in a different position. If they’re based on a large-scale study or have been conducted with a world-known research partner, they can help your brand be perceived as an authority in the industry. The challenging part is that they take time and resources to develop. You probably won’t be able to create one even under a month. Not unless you’re awesome at data mining or have the ability to launch a survey that’s going to gather thousands of answers in a short amount of time. But if you do have enough time, resources, or can launch a large-scale survey – do it and then write a report with the findings. If it turns out good, you can expect a lot of attention from other media sites – not to mention an increase in your email list size. From personal experience, I can tell you that they’re great for self-development, too. In the process of analyzing the data, you’ll learn a lot and get plenty of ideas for new content pieces you can use in the future. Just like with cheat sheets and lists, some people prefer content that’s quick and easy to consume. Videos can work well both for user engagement and email list building. Depending on the kind of video and what it is about, you can often watch them while doing something else at the same time. They usually don’t require the same amount of attention as other types of content – and this is what makes them so popular. While not all videos should be turned into lead magnets and put behind an opt-in gate, many of them can. Interviews with interesting guests, tips or tutorials, examples effective strategies, and of course webinars. See what kind of videos are popular in your industry and try offering one in exchange for an email address. As an additional incentive, provide a quick summary or a short version that can be accessed without paying with email. This will give your users the chance to make a solid decision whether they want to watch the full video and sign up to your email list. Speaking of videos, I’ve also seen marketers use video and podcast transcripts being used as lead magnets. I’m not the biggest fan of this approach, though I can see how they could be beneficial for email list building. At the end of the day, I consider transcripts as something that’s meant to help your users consume your content better (and rank in the SERPS, too). The odds are that some of your prospects are using a screen reader to access your content due to some hearing impairment. As such, I don’t think it’s fair to ask them to leave their email address in exchange for the transcripts. You may argue that we live in a digital world where you can buy services and products from across the globe. But the truth is that at the end of the day – people buy from people. For some purchases, especially those that require significant commitment (time or money), people want to consult someone before they sign anything. We’ve learned that this is often the case for some particular cultures, e.g., in the ASEAN region where the human factor makes a big difference. If you’re an expert in a field – you either have an agency or are a solopreneur – and you offer your services online, consider giving away a 15- or 30-minute consultation in exchange for an email address. There’s a big advantage to this approach. Right away, you’re able to start building a relationship with your potential lead. Plus, in most cases, you immediately know, if there’s any business to be made – whether the customer’s the right fit and they’re someone you’d like to work with. There’s one more argument that supports this type of lead magnet. It’s the fact that if someone’s signing up for a consultation, they’re probably already looking to buy. Maybe not immediately, but at least in the near future. And that’s a much better ground for building long-term relationships than cold pitching out people of the blue :). People often research and compare different options before they make any financial commitment. This is the case for services such as car insurance, mortgage, financial loans, and others. Offering them for free can help you generate a lot of traffic, but the truth is that most people won’t convert. That’s just the way it is, and we have to accept this. Reciprocity is powerful (If you’re unfamiliar with this topic, I highly recommend that you read the book Give and Take by Adam Grant), but people feel less motivated to return the ‘favor’ if they don’t know you and it’s the first – and maybe last – time they see your website. That’s why offering a free quote only after someone provides you the email address can be a great approach for your lead generation strategy. A popular way of doing this is to get the user to fill out the form half-way. Ask them a few questions first, let them choose from all the available options, and right before they’re about to receive the quote – ask them about their an email address. While this may irritate some of your users, as long as you’re transparent in your communication you should be OK.
People will understand that updating the information to provide the service takes both time and effort, but you need to make sure they understand how much value they’re getting out of this exchange. Ecommerce marketers know this the hard way. You don’t usually make a lot of money from your first-time buyers. That’s because you have to invest to acquire them – to get them onto your site, to make them check out your products, and finally to make the first purchase. These costs add up pretty quickly, and it’s often not enough to convince your new visitors to even make that initial purchase. That’s why many ecommerce marketers choose to add coupons as their lead magnet. The coupon is meant to give that extra push to help the users to make the first commitment. But some marketers worry that offering a coupon right away is a bad practice and that it’s going to drive their profits down. That’s true for the short-term. But if you’re able to convince your first-time buyers to order from you again – you’re going to win in the long-term. Through lead nurturing campaigns, automated emails including product recommendations, and other tactics. If you do it right, your efforts will pay off. If you’re unsure about giving away coupons in exchange for an email address, you can add some restrictions. Your coupon is going to be valid only for a one-time purchase above a certain amount of money. Alternatively, it could be valid for a second purchase instead – this way you’ll motivate the first-time buyers to make another commitment. There are multiple ways to use coupons both as lead magnets and regular incentives meant to engage your existing or inactive customers. Do the maths, see if you can afford using them, and don’t worry if your profit margin on the first-time buyers isn’t too high. Pro tip: Make sure your discount codes and coupons work at all times. According to the data from Statista, “discount code doesn’t work” was the number one reason why users abandoned their shopping carts in the US in 2017. While my explanation of using coupons and deals up to this point referred to products that you sell yourself, it’s worth mentioning that this doesn’t have to be that way. The deals that you offer don’t have to be on your products. They don’t even have to be for tangible products at all. There are many marketers out there, who run affiliate sites that’ll send you great deals in exchange for your email address. If you buy any of the products or services through them, you’ll get a good discount, and they’ll earn a commission. Perhaps one of the most known sites that work in a similar way is Appsumo. It gathers hundreds of thousands of marketers who’re either looking for great deals on tools or are trying to launch their product to that specific target audience. And based on the kinds of offers they run (even up to 80% OFF), it’s safe to assume their email list grows quickly. Some say that free delivery is even more powerful than offering coupons. Many users often don’t mind spending a lot of money on different products, but they’ll think twice before buying something that has an extra delivery cost added in the checkout. According to the data from Statista, unexpected shipping costs are the biggest reason why users abandon their online shopping carts. Also, there are people (myself included) that would rather spend slightly more money to earn the free delivery, if it’s available above after a certain threshold. That being said, if you’re an ecommerce business, offering free delivery should be one of your key strategies to help you grow your email list. Free delivery can be a great alternative to price coupons, especially if you’re not particularly enthusiastic about offering them to your customers or are worried it’ll hurt your brand’s perception. Once again, you shouldn’t be too worried that including the free delivery will cut down your profit margin on the first-time buyers. You’ll get it back in the long-term. And if you want to see more commitment from your customers, offer it only if they spend more than a particular amount on their order. Or just limit it to their first order, all together. Who doesn’t like to win something now and then? Not many marketers use this approach but offering a chance to win something can be a good lead magnet idea. There are however a few challenges with this tactic. First of all, the prize should be valuable and relevant to your target audience. It wouldn’t make sense to offer a free power bank if you were running an online clothing store. Neither would it be to offer something of minor value like a keychain. Also, your prize should be redeemable. No matter where your customers are from, you should be able to ship anywhere in the world. There’s one more challenge with this approach, but this one’s a bit harder to handle. Richard Wiseman wrote about it in his book – The Luck Factor. Some people consider themselves unlucky and don’t believe they’ll win. That is also why they might not want to take part in your prize-draw. For this kind of people, I’d suggest that you emphasize how strong their chances of winning are or the fact that everyone gets some kind of a prize. As I said, not many marketers use this tactic to grow their email list. However, I’ve recently come across a site that’s using it effectively. As you can see below, a chance of winning a set of marketing-related books can work very well – if your target audience is in that niche. Given that this blog was all about marketing, the prize was relevant. Also, what’s clever about this tactic is that by offering books from world-famous authors, they’re right away using their names to position the blog at a similar level. Even though the readers might not be familiar with the blog yet, they’ll anticipate that the content they’ll receive via email will be similar to what the famous authors write about. And here’s another, slightly similar example, but with a less-clear incentive. There’s yet another great idea for a lead magnet – event tickets. If you organize your own event – great. Instead of giving away a free admission, ask people who’re interested in the event to register and leave their email address. What if you don’t run any events? Then, you can try and partner up with those who do. Quite often, partnering companies (who either pay a certain amount of money or help co-promote the idea) can get a certain number of tickets for free. Then you can use those free tickets as your lead magnet. 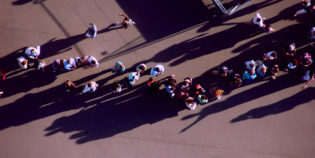 This tactic is pretty popular among companies that organize events. I know I’ve previously mentioned that videos (including webinars) make great lead magnets. However, I felt that online events, meetings, and webinars deserve a separate point on this list. The reason for this is that videos are often a one-way type of communication. Webinars and online events, on the other hand, are usually meant to be a dialogue. Whether it is one presenter, the host and their guest, or a number of different presenters – the idea behind using this form of content as lead magnet is the same. You’re offering value – a presentation or keynote on an important topic – in exchange for an email address. The more you offer – a better speaker, more interesting topic, or simply more speakers talking about different topics – the higher are your chances of getting people to opt in. At GetResponse, we often run webinars, either on our own or with special guests, as well as we take part in similar initiatives organized by other companies. In fact, here you can check some of the recordings of webinars we hosted in the past. Thanks to them, we manage to gather several thousand registrations every time. Best of all, their setup is straightforward. You can actually host your own webinar in GetResponse in just a few steps. Another way ecommerce businesses can increase their email list’s growth is by offering free samples. There are two ways you can go about offering them. You can either add the free samples to your customer’s first order or offer them right away but charge for the delivery cost. The second approach is actually very similar to what one rapidly growing ecommerce company called Wish is doing. They’re offering one product, free of charge, for anyone who registers to their platform and pays for the shipping. This way they’re getting thousands of people to download the app and fill out their details and all they’re giving away in exchange are small-value products like headphones or phone cases. There’s one more benefit to using free samples. You can get people to try out your products, which might be especially difficult if you’re launching a new line or brand. Case studies can be very effective when you’re trying to convince others that your products or services are exceptional. They show the process – exact steps and tactics your customers had to take – to achieve great outcomes. This process may neither be quick nor easy, but you’re the expert and can help others achieve great outcomes, too. In other words, you’re helping your potential customers imagine what the desirable results are and showing them that you know the way to get them. On top of that, case studies show that your brand is trustworthy and desirable. After all, awesome brands wouldn’t have teamed up with you and relied on your expertise, if you gave off a suspicious vibe. But let’s talk about using case studies as lead magnets. My opinion is that in most cases case studies shouldn’t be put behind the paywall or an opt-in form. It’s often too soon to ask the user to leave their email address as you have to yet earn their trust. At the same time, you can use them as a lead magnet if you prepare two versions of your case studies. One that’s a summary of the results and tactics that were used to achieve the great outcomes. And the second one, the one you can put behind a signup form, that goes deeper into the entire process that your companies had to go through to identify and analyze the problem, formulate tests, come up with alternative scenarios, and finally how you’ve run the campaign. This way you’re achieving the best of two worlds – one quick case study that can help you inspire your potential customers and another one that helps you generate leads. So if you’ve got a success story to share or are in the process of developing one, consider creating two versions that’ll help you build in your email list building endeavor. Many SaaS companies choose to create free tools that can be used by their target audience, almost completely free of charge. Almost, because all the user has to do, to access the free tool, is to give their email address in exchange. This tactic can be very effective, especially if the tool you offer brings a lot of value to your users and it’s something they’ll be accessing on a regular basis. Not sure what I’m getting at? Take a look at the following tool called LSIGraph. If you’re unfamiliar with it, it’s an online tool used by SEOs and other online marketers that helps you find semantically related keywords. So whenever you’re optimizing a page or writing an article, which you want to rank higher in SERPs – you should check out the LSIGraph. You can use the tool for free, but it has a limit on how many analysis you can do per day. If you want to use it for more than three phrases per day, you can increase that limit to 20, by leaving your email address. It’s a very clever tactic that helps the people behind LSIGraph attract a wide enough audience and convert only those who’re serious about using their tool. Those who need to use the free tool more often, must have already realized its value to their business. This means they’ll be more motivated to leave their email address. Plus, if they reach the new daily limit several times in a row, they’ll probably even consider going for the paid plan. Here’s another example of a tool that marries lead generation and offering value successfully. This one was so interesting, that I decided to reach out to Olga Rabo, from Iconosquare, to share in her own words the story behind the Instagram Audit Tool they developed. Creating new tools can be a great way to promote your main offering. Iconosquare offers the best-in-class Instagram analytics for brands and businesses, and last year we came up with an idea to start creating side-tools to our main offering. One of the tools we created was the Instagram Audit Tool. The process is simple: you sign in with your Instagram account, and let the tool evaluate your Instagram account based on specific metrics, such as your posting frequency, engagement rate, your use of hashtags, etc. It gives you an immediate score to let you know if you’re doing a good job. If you leave your email address, you’ll get a full, detailed report with tips on how to improve your Instagram performance. As you complete the audit, there’s a “Start your free trial” button, which gives us additional few hundred not leads, but trials, per month. And it’s good trials, too, that convert to paying customers later on. Currently, the tool lists on the 1st Page of Google results when you look for “Instagram audit” and has organically acquired 102 backlinks from 55 domains. How did we promote the tool? -Dropped it on Product Hunt. The success of the Audit Tool lies, thus, not in its promotion tactics, but in the fact that the idea itself came from our users, so we knew there’s demand for a tool like that. Every day, we’re getting dozens of emails from customers and subscribers, asking us to review their Instagram accounts and tell them where they can improve. So why not use the audience feedback, create a simple solution and use it as a new way to generate trials? I just added one more backlink to this list. That aside, as you can see, tools like these can work very well, not only for growing your email list but also for your SEO. There’s something about quizzes that people just love. A couple of years back, all my friends were checking which Friends character they resemble the most or which Hogwarts house the sorting hat would place them in. And, of course, by years I mean weeks. While quizzes are usually fun, they can also be very useful – especially if you know how to use them to build your email list faster. The same goes for surveys. They can be engaging, educational, and great for lead generation. The good news about both of these tools is that they can be used in any industry. For example, here’s how Iconosquare (once again), used a quiz to let users test their Instagram strategy level. And here’s another quiz, that lets you test you Digital IQ. I’m a big fan of online calculators. Whether it is to calculate the cost of your mortgage rate, car insurance, or projected electricity bill – they save a lot of hassle, and in doing so, they provide value. I use them on a regular basis, but it’s rarely the case that I see online calculators being used as a lead generation tool. They can be a powerful lead magnet and can help you increase the size of your email list quickly. But don’t get me wrong, not all calculators deserve to be used in exchange for an email address. Plus, Google often comes up with clever ways to overcome the need of using them. Take currency exchange for example. Here’s what you’ll see if you type in “200 pounds to PLN” into Google search. Alright, so if that won’t work, what kind of online calculators have the chance of being an effective lead magnet? The answer’s pretty straightforward: those that provide information that’s otherwise difficult to obtain and people are interested in it. Additional points for making the calculator fun to use. Below’s a screenshot of a calculator that was used by a company called Eneco. As you can read from this blog post, the company managed to generate over 1,000 leads with their online calculator in just 6 weeks. What did the calculator do? It helped you estimate how much it would cost to buy a homecharger for your electric car. This is a perfect example of a calculator that had to work well. Its timing is perfect – more and more people are interested in buying electric cars. Its topic is highly relevant – those who’re interested in buying an electric car are often worried they won’t be able to charge their car very efficiently. 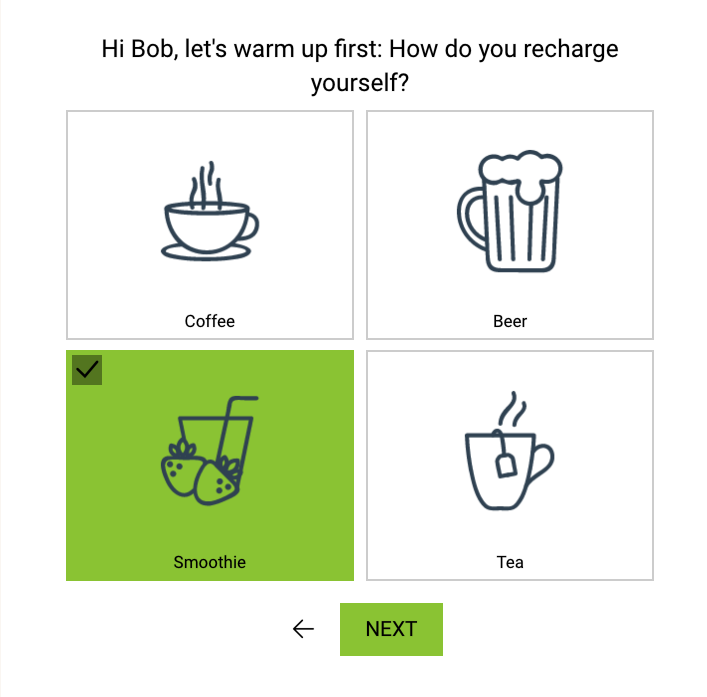 Its playful – the calculator starts with two warm-up survey questions about your name and how you like to recharge yourself (e.g., beer vs smoothie). Its smart – you’re being asked about your email address only in the last step, after you’ve answered six other questions and already made an initial commitment. I’m not at all surprised by this result and hope to see more of such calculators being used as lead magnets in the future. Another idea for a lead magnet you could use are swipe files. While this is mainly relevant to the copywriting, advertising, and online marketing niche, you could use them for any other genre of writing or subject. Think of examples of great headlines, joke or storytelling structures, opening lines for presentations, and design inspirations. In fact, we’ve created a swipe file for great welcome emails. Step 1. Gather and organize tools others would find useful. Step 2. Put them behind a web form. I feel that many marketers keep forgetting that newsletter itself, can be an effective lead magnet. We usually treat it the other way round. We’re asking someone to leave their email address so that we can then send them the newsletter. But if your newsletter content is good enough, it should be treated as a lead magnet itself. The value we’re promising here is in a form of a newsletter. One that’s sent on a regular basis, be it weekly or monthly, and includes information we find useful or inspiring. One such example is the CB Insights newsletter I receive every other day. It contains interesting information on trends and stories on various startups and other companies in the technology space. Not so surprisingly, here at GetResponse, we also offer a newsletter that includes our weekly set of articles from the blog. It’s currently subscribed by over 15,000 SMB marketers for whom – and I hope I’m not exaggerating right now – our content’s valuable enough that they decided to opt in. If you feel like you could learn a few things on effective strategies for SMB marketers, I’d be honored if you joined our mailing list :). Exclusivity is one powerful thing. Think of all the limited-edition cars and clothes from only the best fashion designers. Or the huge lines in front of the club that just opened up in your city the other month. People like to be among the first ones to see, read, and experience things. Believe it or not, this applies to non-tangible products, too. You can create a waiting list for online courses or tools, just as if they were something you need to touch with your hands. It could be the limited-access to the beta-version of your platform. Or a completely new tool you wanted to try out with your pilot group. You can create a sense of exclusivity and build your email list by simply making people wait. Of course, It’ll only work if you’ve already offered something that’s good and what you’d normally charge for. In other words, you’ve earned your users’ trust. Once you’ve done it, you can try to offer them something even better. And in theory, if they have to wait for it, it’ll be even more powerful. This idea kind of overlaps what we’ve covered in some of the points above. Nevertheless, I think it’s worth mentioning the fact that your lead magnet doesn’t have to consist of only one individual material e.g., an ebook. If you promise more materials in one go, you might get a better chance of converting your website visitors into email leads. What you can see here is a toolkit – a big file consisting of various PDFs and frameworks that’ll help you create your own platform. While this particular example doesn’t require the users to leave their email address to access the files, it’s easy to imagine it working this way. Why put all the files together in one bundle, instead of offering them one by one? The truth is, you need your user’s email address only once. While it’s tempting to divide up your files and tag each and every resource they download separately, it seems that the brand wanted to provide as much value to their potential customers as possible. By offering them all the files in one go, they’re definitely doing so. And if you’ve read any of these frameworks or files, you’ll know that they’re pretty complex. If anyone finds them too hard to go over on their own, they’ll know exactly who to reach out to, to ask for help. Here’s another example, this time from Shopify. We’ve actually used this particular tactic for GetResponse, too. It’s the idea that’s behind our Resource Center, which I’ve already mentioned before. Users only need to provide their email address once, and they can access all the ebooks, reports, infographics, and other materials we publish on a regular basis. Most marketers put up their slides on Slideshare or another similar website, where their audience can access them easily. And it’s a perfectly fine approach. It’s great for those who’ve attended your presentation and want to go through your materials again. It’s also perfect for those who haven’t been to it, and might somehow stumble upon your content when doing a Google search on the specific topic. At the same time, who says you can’t offer your slides or presentation notes as a lead magnet in a web form? Especially the latter, can be very useful for those who’re interested in your presentation but haven’t had the chance to see it live. I’m not able to travel around the world to go to all the great conferences that are currently taking place. That’s why I’d definitely leave my email address in exchange for either the presentation deck (though these often aren’t useful without the voiceover) or the presentation notes with useful links to read up on. I’m sure your target audience would feel the same way, especially if your presentations provide actual value. And if you’re not convinced that this could for an individual marketer, consider using this for an online conference or an event that you’ve run in the past. Sharing presentations and presentation notes from the previous editions can help you generate leads, who you can then try to convince to register for your upcoming event. 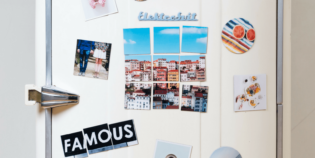 I’ve just gone over 25 ideas for effective lead magnets. If you do another Google search, I’m sure you could find posts with more than 100+ ideas for freebies, opt-in bribes, or however you prefer to call them. But I recommend that instead of typing your next query into the search engine, you start by looking around you. Take a look at your desk, your well right next to it, your Slack, Google Keep, and email. I’m sure you have some sort of a folder with useful shortcuts, links, tips, or other things that improve your work. Now take these and think about if you can turn them into a lead magnet. Can they benefit your customers? Will they make someone’s life easier or more enjoyable? If it’s a yes, there are two things I want you to do. First, the obvious one, use it to grow your list. The second one, a personal favor, just let me know in the comments what it is that you’ve decided to use as your lead magnet :).